As times change, the designers of wireless headphones continue to deploy the full range of their ingenuity in making ultramodern masterpieces that work with astonishing refinement of quality. Recent advancements in wireless technology have elevated the utility advantage that many people ascribe to wireless headphones. 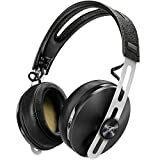 The best headphones should have a great functional appeal and convey a strong sense of style and fashion. Top quality headphones should allow you to enjoy a crisp audio effect in most environments. 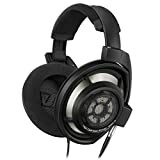 Before you spend your money on a headphone, read through the manufacturer’s details about its noise cancelling capabilities. Highly advanced headphones should allow you to enjoy great audio without hindrance. Remember that you may have to use the devices when traveling or in raucous backgrounds. The noise cancelling effect is always a big plus if you aspire for high quality entertainment.